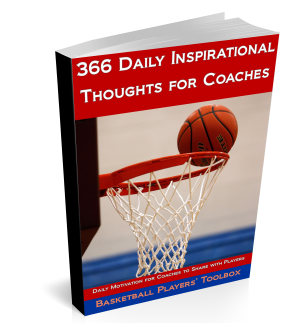 Here are two ideas for basketball shooting drills. The first one requires three players with an emphasis on the rebounding and passing as well as shooting. The second is more of a toughness drill requiring the shooter to make shots when tired while having the pressure of making consecutive shots. The rebounder should be ready to rebound all shots without the ball hitting the ground. The passer can be located at any spot where passes come from in your offensive system. Reggie Miller frequently came off screens from the basket out, but that might not fit your scheme. This shooter will start under the basket in the drill, but can be moved anywhere that make cuts from in your offense. Make game-like cuts, including changing speeds and directions while making the cuts. The shooter will receive the ball for a catch and shoot shot, or some kind of one dribble pull up shot. After one minute is up, the players will rotate passer, rebounder, and shooter. The passer does move his feet in the first video. Make sure that you perform all drills as cleanly as you would in a game! For the first drill the shooter is going to work on the cuts. The Passer concentrates on on time on target passes–and not traveling when delivering the ball. Rebounder’s job is to get the rebound before it hits the floor. I like the idea of adding a point to the score each time the rebounder accomplishes that task and subtracting points for bad passes. The thought behind the post isn’t to worry about the shooting form or mistakes being made, but to give you ideas on something to add to or improve the shooting drills that you currently use.